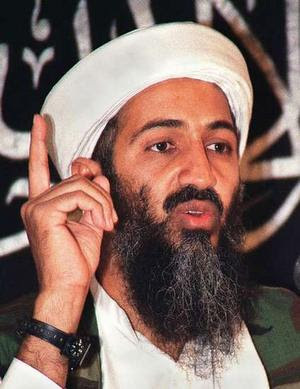 This email hoax warns users that email messages offering pictures of Osama Bin Laden hanged or captured contain a destructive virus that causes affected systems to crash. 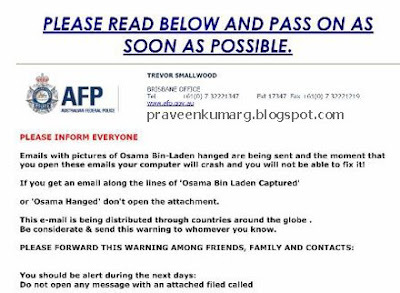 While the said email messages have been used by several malware, this warning, or variations of this warning, are already outdated. Users are therefore advised to keep their antivirus software up-to-date, and to refrain from forwarding similar messages to other users. globe, but mainly in the US and Israel.